We will be the first to admit, we did't know whether a chatroom was going to be a nice addition to affLIFT or not. But, like with your affiliate marketing campaigns, you will never know what is actually going to work well or not unless you test it out. 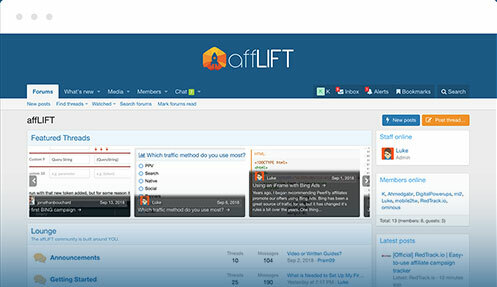 So, early on after the launch of affLIFT, we added a live chat to the forum called LIFTUP Chat. 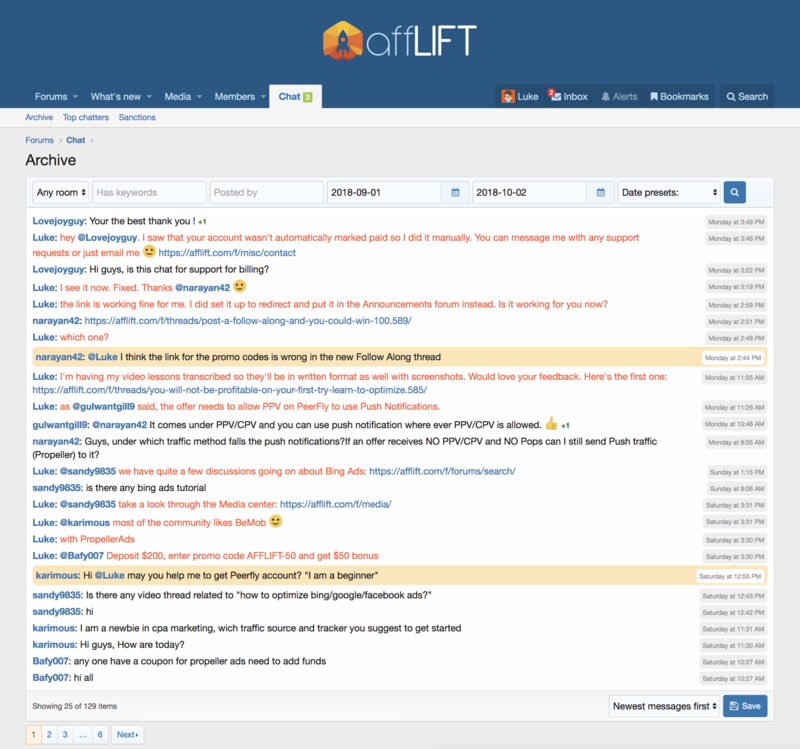 LIFTUP Chat provides a unique opportunity for you to "speak" directly with other members of the community. It's a live chat so you can see who is currently online browsing the forum and it's a great place to post quick questions or ask for feedback on something. Another cool thing about the chatroom is it provides an opportunity to have a private conversation directly with any other member of the community. When you PM (private message) another member, they will get an alert telling them and you can have a 1-on-1 conversation with them without having to exchange Skype usernames or using a 3rd party application. You have converse right within affLIFT! The chat is available to all paid members. Upgrade your account today and join in the chat! 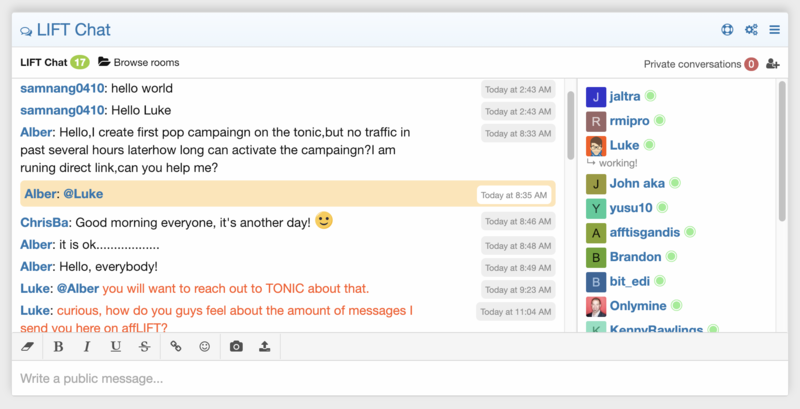 A community (and chat) to help give your affiliate marketing a LIFT.